The Stressless Soft Ottoman gives you the ultimate modern ottoman comfort in the tradition of the original Turkish furniture. The extra soft cushions adapt to your sitting position employing a special tilt system. The ottoman has plenty of storage space for all of your living room extras under its' removable top and comes in handy as extra sitting space. 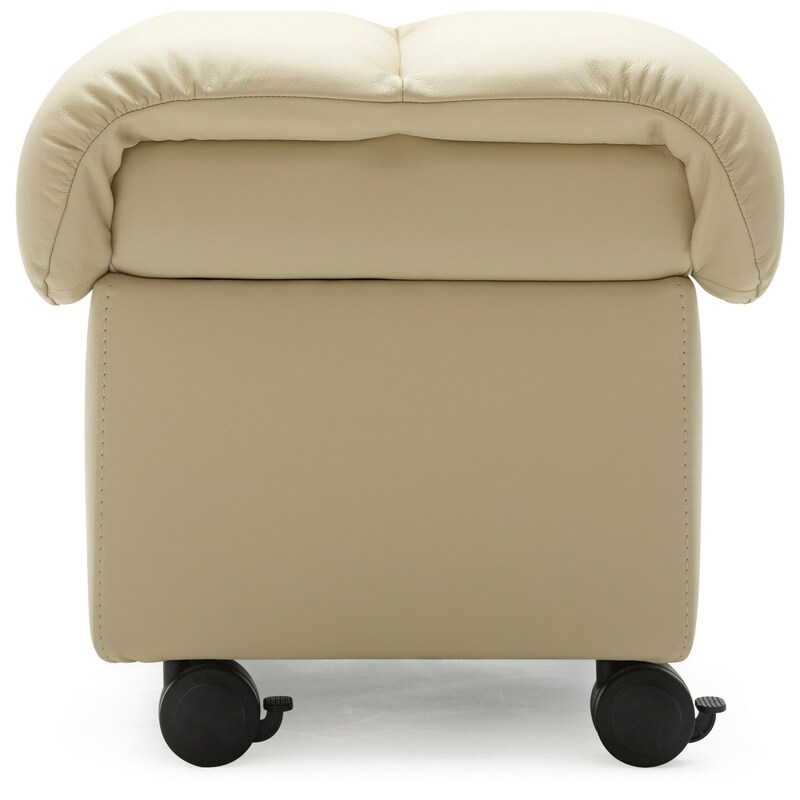 The Stressless Ottoman is designed to fit your modern Stressless furniture, is easy to move, and is built in the high quality you have come to expect. The ottoman comes in two sizes; medium and large. The Ottomans Medium Soft Ottoman by Stressless at Virginia Furniture Market in the Rocky Mount, Roanoke, Lynchburg, Christiansburg, Blacksburg, Virginia area. Product availability may vary. Contact us for the most current availability on this product. Provide your home with a little more comfort and style with help from these ottomans. The pieces come in a variety of designs and colors that will fit into almost any home decor. You'll be set with this ottoman collection. The Ottomans collection is a great option if you are looking for furniture in the Rocky Mount, Roanoke, Lynchburg, Christiansburg, Blacksburg, Virginia area. Browse other items in the Ottomans collection from Virginia Furniture Market in the Rocky Mount, Roanoke, Lynchburg, Christiansburg, Blacksburg, Virginia area.